Two large cruise lines and a small-ship cruise line offer cruises from Baltimore, MD. Baltimore cruises are a good option for the millions of Americans within driving distance of the port. See our complete calendar of cruises from Baltimore. Large-ship cruises from Baltimore go to Bermuda, the Bahamas, the Caribbean and Canada. Smaller-ship cruises departing from Baltimore sail the Chesapeake Bay and the Intracoastal Waterway. Carnival Cruises offers cruises from Baltimore. 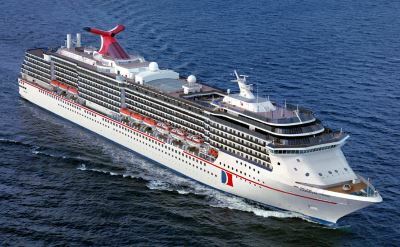 The Carnival Pride makes cruises to the Bahamas and the eastern Caribbean. The "fun ship" is sailing from Baltimore! Royal Caribbean Cruise Line sails from Baltimore to a variety of destinations. Their big beautiful ship has all the amenities you could ask for. Get on a cruise to the Bahamas, the Caribbean, Bermuda or Canada. 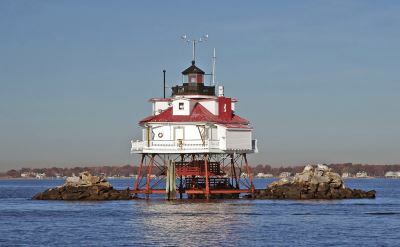 American Cruise Line offers cruises around the Chesapeake Bay and down the Intracoastal Waterway from Baltimore. These small ships can visit ports and explore shallow waters where the big cruise ships cannot go. 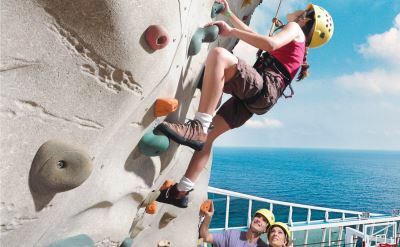 See our choices for the top 5 reviews of cruises from Baltimore. Learn what to expect on your cruise from previous passengers. After you select your Baltimore cruise, don't miss our guide to hotels near the Baltimore cruise port. 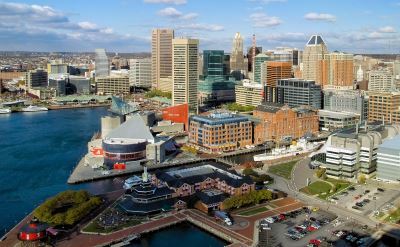 We've identified some good places to stay in the Inner Harbor area, close to the Baltimore Cruise Terminal. Have fun. Explore the world. Take a cruise from Baltimore.